A super-complaint calls for banks to better protect customers against bank transfer fraud. 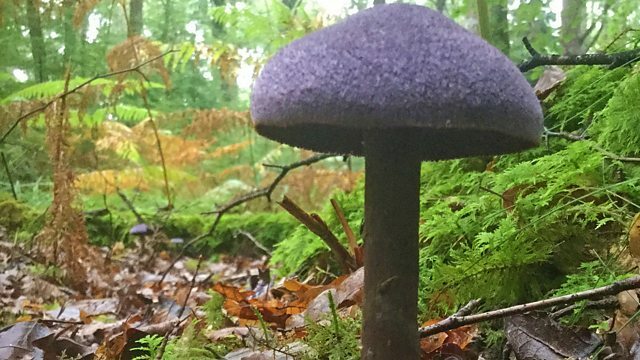 We find out why the Forestry Commission wants to ban mushroom picking in the New Forest. The consumer group Which? have submitted a super-complaint to the financial regulators calling for banks to do more to protect customers against bank transfer scams. Michelle Cox tells You & Yours about how she was conned out of her money when trying to hire a villa in Spain. The banks didn't give her money back, Financial Fraud Action UK tell us why. The Forestry Commission want to stop people picking mushrooms in the New Forest. Foragers say it's against ancient English rites. Shari Vahl meets officers and mushroom fans to hear the debate. Are our restaurants and bars getting louder? The charity Action on Hearing Loss think they are and want us to record the decibel levels on our smart phones. Peter White joins Marian Callender, who has a genetic hearing problem, for a drink to discuss the problem. And lecturers and teachers on zero and minimum hour contracts tell us that they're unhappy with their casual contracts. We ask the Universities and Colleges Employers Association why they are being used. Which? wants banks to compensate conned customers who send money to criminals. How is excessive noise in restaurants and bars affecting our hearing? University and college lecturers respond to the Recruitment and Employment Confederation. Mushroom foragers protest against Forestry Commission 'ban' in the New Forest. Previously one of the cheaper providers, OVO has raised its monthly fixed tariff by £100. Football Supporters Association say 90% of fans now want so-called safe standing areas.